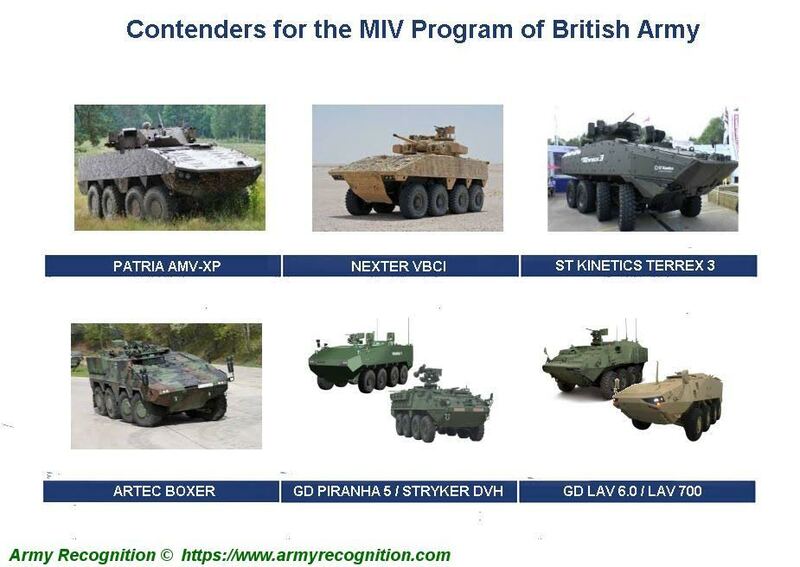 Eyeballing this thing I think the ST Kinetics Terrex 3 and the Patria AMV-XP should be the top dogs. It's probably Boxer's to lose with the GD LAV 700 being promoted to compete against it in down select. The Brits could go their own way and bring into service a paradigm breaking vehicle. They won't so Boxer will win despite being older than many of the vehicles its going against.